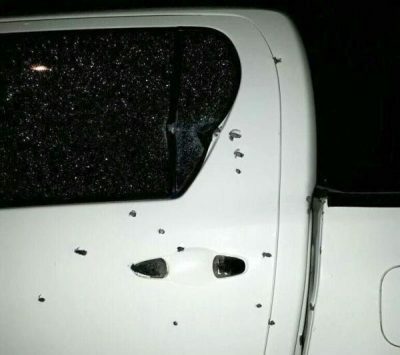 UPDATED – MEXICO CITY — Two priests were gunned down as they returned from Candlemas celebrations in a corner of Mexico rife with drug cartel violence and increasingly lethal for prelates. Fathers Ivan Anorve Jaimes and Germain Muniz Garcia were killed early Feb. 5 as they drove between the cities of Taxco and Iguala in Guerrero state, some 100 miles south of Mexico City. Guerrero state officials said later that day that an armed group blocked the priests’ vehicle and opened fire. The priests were traveling with four other passengers, all of whom were injured. A local bishop disputed an account by State Prosecutor Xavier Olea, who said Feb. 6 that a photo of Father Muniz, holding an assault rife and posing with masked individuals at the Candlemas celebrations, triggered the attack, as the gunmen suspected the vehicle was carrying enemies from a rival cartel. Bishop Rangel said the two slain priests were musicians, who performed in remote hamlets and “approached people” and “evangelized” through music. Father Muniz, he said, was famed for his parish choir, while Father Anorve came from the Costa Chica region, at least five hours away. Bishop Rangel confirmed, though, that the photo of Father Muniz was authentic, telling journalist Carlos Loret de Mola that it was at least 1 year old. The photo, along with a snapshot of the bishop with three men and a helicopter, were leaked — presumably by state officials — to the Mexican media Feb. 6. “This is a nest of narcotics traffickers,” he said of the region where the crimes were committed. Church officials in Guerrero condemned the slayings and called for a thorough investigation. “We are dismayed by this tragic event, which the archdiocesan community (of Acapulco) and the community of the Diocese of Chilpancingo-Chilapa mourns,” the Archdiocese of Acapulco said in a statement. Father Anorve was a priest of the archdiocese, while Father Muniz was part of the Diocese of Chilpancingo-Chilapa. The bishop told Loret de Mola the prosecutor’s claims fit a pattern of blaming victims of violence as somehow being complicit in the crimes committed against them. The most recent murders offered a reminder of the risks run by priests in Mexico, where the violence of the past 11 years has not spared clergy. The Catholic Multimedia Center counts 21 priests murdered since December 2012, with the cases overwhelmingly remaining unpunished. In Guerrero state alone, at least six priests have been killed since 2009, including Comboni Father John Ssenyondo, a Ugandan missionary, whose body was pulled from a clandestine grave. Mexico has seen increasing violence due to drug cartel conflicts and a failure of the federal government to improve policing, curb corruption or implement the rule of law. In 2017, Mexico suffered its most murderous year since records started being kept in 1997. The violence is so severe in Guerrero state, which registered 2,138 homicides in 2017, that morgues have been unable to handle the bodies arriving for autopsies. Guerrero has long ranked among Mexico’s poorest states. In 2014, it captured worldwide attention when police, acting in cahoots with organized crime, caused the disappearance of 43 students in Iguala. Cartels clash over poppy production. processing heroin and smuggling it to the United States. Bishop Rangel has sought out those involved in criminal activities to start a dialogue and decrease violence in Guerrero. He said he has met three cartel leaders — whose criminal organizations he declined to name — and contended that criminal groups in the state “respect” priests and allow them to work. Bishop Rangel suspected an out-of-state criminal group killed the priests. He also has spoken out against the state and federal response, calling it flawed and accusing the army and police of acting in collusion with criminal groups. His comments have angered local officials. State Gov. Hector Astudillo Flores has tried to improve the image of Guerrero, home to the glitz and glamour of Acapulco, but also the misery of marginalized indigenous communities, where people survive by planting opium poppies.